Since group-living animals are embedded in a network of social interactions, socioecological factors may not only affect individual behavioral strategies but also the patterning of group-level social interactions, i.e., the network structure. These co-variations between socioecological factors, individual behavior, and group-level structure are important to study since ecological factors may strongly influence animal health outcomes and reproductive success. Besides factors such as social information and/or infectious agents, with far-reaching individual fitness consequences, seem independent of individuals’ own social interactions but directly affected by the topology of the social network. 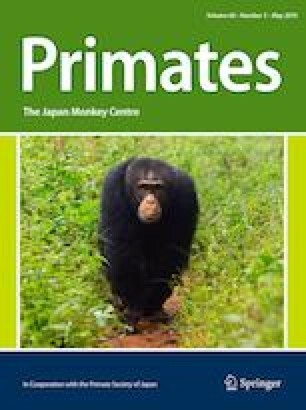 This paper reviews how socio-ecological pressures, i.e., causal factors (food distribution, predation, and infectious agent risk), via intermediary mechanisms (stress, information sharing, and mating system), may affect individual social behavior and consequently, social network topology. We also discuss how evolutionary driving forces, genetic (i.e., genes) and cultural (i.e., learned behavior) selection, may result in a specific composition of individuals’ social strategies that produce network topologies that might be optimized to specific socio-ecological conditions. We conclude that studies focusing on whether and how well networks resist changing conditions might provide a better understanding of the rules underlying individual behavior, which in turn influences network topology—a process we have called network evolution. Evolutionary processes may favor a group phenotypic composition, thus a network topology. This has been referred to as a “collective social niche construction”. We thank Andrew J.J. MacIntosh and Jean-Louis Deneubourg for our numerous discussions on this topic. We thank David N. Fisher and Krishna Balasubramanian for their useful comments on the paper. We thank Joanna Munro for English editing service. C.S. is funded by an ANR programme Blanc grant (HANC, ANR-15-CE36-0005-01) and a CNRS PICS programme (exchange with Japan, n°7455). V.R. is an International Research Fellow from the Japan Society for the Promotion of Science (JSPS). I.P.G. was supported by a post-doctoral research grant from the National Council of Science and Technology (CONACyT), Mexico.